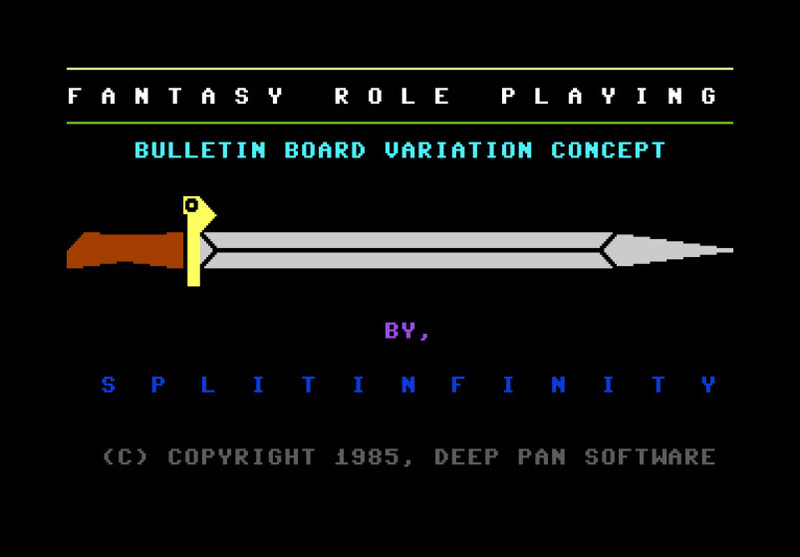 This is Fantasy Role Playing BBS v1.13, released in 1985 as Freeware. This disk includes complete documentation and source code. 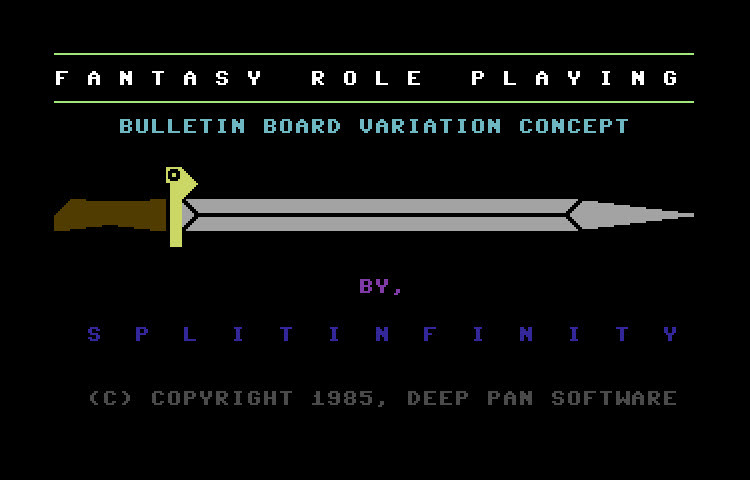 Bulletin board systems were an amazing back in the 80's. This one has it's own twist as it is designed around gaming.